Home » A Project Team to provide you with the power for your project to succeed! A Project Team to provide you with the power for your project to succeed! Do you really know everyone on your project team? Are they just names on the project organization chart? Building and managing a winning team is crucial. If you have any influence over who gets to be in your team, use it! Your credibility depends on the results of the project and that in turn largely depends on the performance of your team, and you as a project manager too, of course. First of all, even if there is no formal interview, spend some time with candidate team members, if at all possible. Get to know them. Find out their views on a variety of subjects both related and unrelated to the project. Study their resume or CV, but don’t rely on it exclusively. Delve into and explore with them not only their career history, but also their interests. Take time to explain what the project is about and your approach to project management. Secondly, give them some time to make up their mind, if there is a choice to join the project or not. If necessary and possible, have a second meeting. It’s amazing how much can change in peoples’ thinking after an initial discussion. Try and get some references for the candidates. Remember, these are people with whom you are going to work very closely, perhaps under pressure. Find out how they react when someone disagrees with them. Find out how they work within a team. Most importantly, find out what their passion is within the work context. This will give you a key to the value of your resources. This is a vast subject, of course, but here a few things I have found helpful when managing a project team. It’s very important to defer to the team members’ areas of expertise. That is why they are on the project in the first place. Make sure you continue to recognize that at every opportunity. 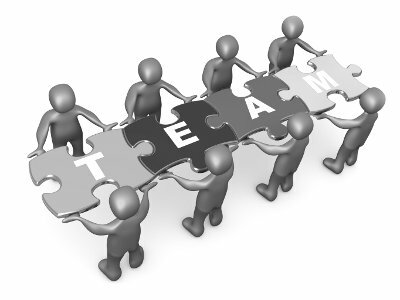 The team will only feel valued and give of their best when they are valued, primarily by you as the project manager. If what is important to them, what they live and breathe for, is not important to you, you’ve lost them! Take time when appropriate, not only to reward achievement, but also to recognize and encourage progress. If you’ve recruited someone to your project, you’ve demonstrated an expectation that he or she is qualified for the job. Reinforce that expectation by praising progress made on a task. Work with them on a resolution when progress is not to expectation. This shows respect. When determining project estimates, don’t be tempted to make your own estimates, even if you know the subject of the tasks intimately or have access to historical project data. Let your expert project team members provide the estimates, whether they calculate them or obtain them elsewhere. In this way they will own them. By the way, although this is a planning subject covered elsewhere, I favour not loading individual task estimates with contingency. This undervalues the estimates and also puts the power over the use of the contingency into the hands of the person performing the task. I prefer putting the contingency at strategic points within the plan, providing the project manager with the discretion to use the contingency or not. More on this in project planning. Get it right and harness the power of working together to achieve your project goals!